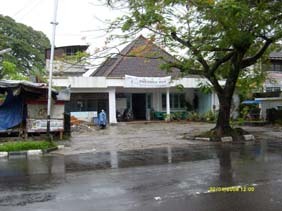 Hotel Immanuel is a budget hotel in the heart of Padang, just 5 minutes walk down the the Padang Beach. It is also a short walk to shopping centres and restaurants. We wanted to rent a room at this hotel yesterday. After the earthquake 30 sept. the prices really got up big time! No room cheaper than 250.000! The staff also turned out not so friendly. Have you stayed at Hotel Immanuel?